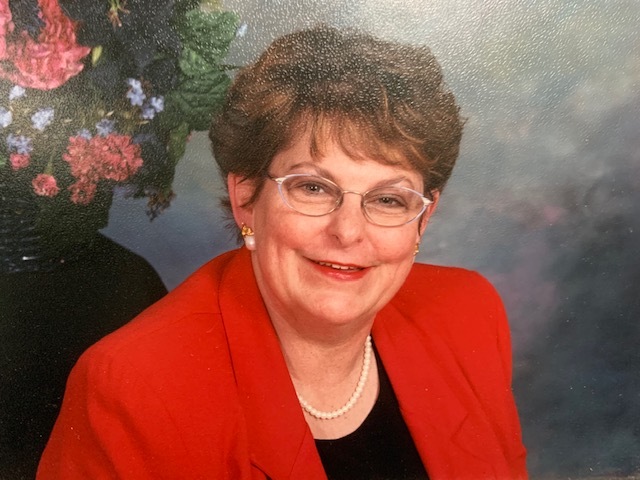 Phyllis Jean Nelson Cavanaugh passed away March 15, 2019 surrounded by her loving family at Valley Hospital in Renton, WA. Daughter of Nicholas Nathaniel Nelson and Charlotte Waugh Nelson, she was born August 6, 1935 also in Renton, WA. Upon graduation from Kent Meridian High School, Class of '53, she attended Seattle University. Soon after, Phyllis met and married Milton Ronald (Ron) Cavanaugh, blending two pioneer families, the Nelson-Cloudy's from the Kent Valley and the Cavanaugh's from White River Valley. Their two children, Mark and Ellen were raised in Maple Valley, WA. As she was raising her children, Phyllis chose to continue her educational goals, graduating from the University of Washington and then obtaining her Master’s Degree in Education. Throughout her 30-plus year teaching career, she advocated for early reading and the use of our school and public library systems. She taught at Kent Elementary, Panther Lake and finished her career at Jenkins Creek. No one ever forgot a visit to her classroom, always full of color, collectibles and of course lions, lions and more lions! Being an August Leo, she even had a custom-designed lion costume that delighted children and staff alike. Using her creativity and love of theater, her plays and productions were legendary. Phyllis was an active speaker with the League of Women Voters and a bowler with the Renton Jaycees where she was known to have bowled a 300! In her youth, she earned the Campfire Torchbearer's Degree, was Worthy Advisor of the Kent Rainbow Girls as well as editor of the Kent Meridian Royals High School newspaper. For many years, she traveled the world, taking along her enthusiasm for education, reading and cultural exploration. Phyllis was involved in many organizations, most noteworthy are Hatasu Temple No. 1 (Daughters of the Nile), General Grand Chapter Order of Eastern Star (Renton Tyee Chapter No. 122), Supreme Emblem Club of the United States of America (Renton-Burien Club No. 185), St. Barbara's Circle of Joy, Bible Study Fellowship, Washington Organization for Reading Development, Maple Valley Library Guild as well as the Board, and the International Gymnastics Federation (artistic women's gymnastics judge). Phyllis was a breast cancer survivor. As sisters, Phyllis and Janice were very devoted to each other. Phyllis providing their home for over 10 years while Janice in the last few years becoming the caregiver as Phyllis walked the Alzheimer’s walk. Phyllis was preceded in death by her husband, Ron (Jan 1995). She is survived by her son Mark Cavanaugh (Jill), her daughter Ellen Cavanaugh Mullins, sister Janice Goodman, grand children Angela Mullins Kiser Boyd (Dale), Doug Mullins (Whitney), David Mullins, Paul Cavanaugh and Stephen Cavanaugh, great grand children Colton Kiser, Lexi Howard-Mullins, Cole Mullins, Heidi Mullins, Lily Howard-Mullins, Liam Howard-Mullins, Aiden York and Sebastian Cavanaugh Mullins, niece Dr. Gittle Goodman, nephew Gregg Goodman (Nicole), great nieces and nephews Joseph Wilson, Elizabeth Wilson, Sadey Goodman and Tyson Goodman.